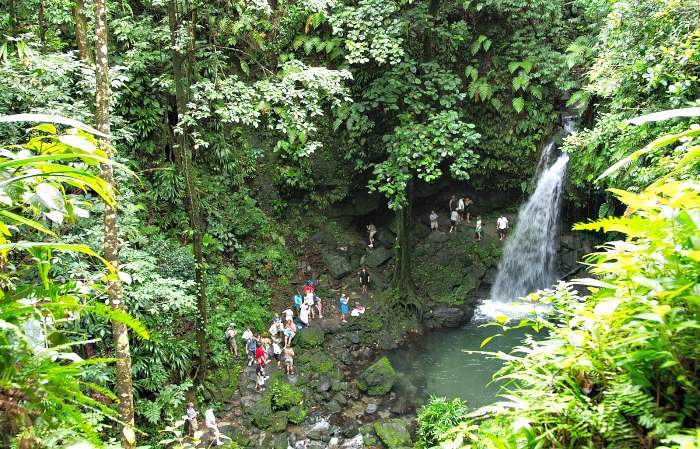 Dominica vacation will offer you an experience you will never forget! 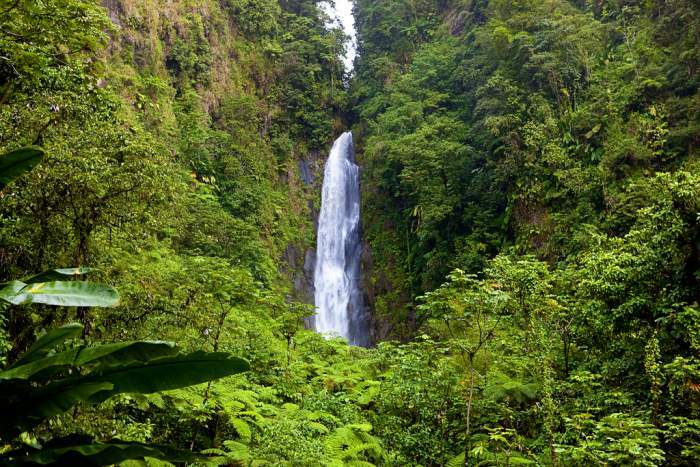 Dominica is one of the most secluded yet very mesmerizing Caribbean islands. It offers top notch service, small but luxury resorts, fun and exciting activities and water sports, and did we mention that Dominica is an extremely safe island? Top all that with Dominica's lush vegetation, mountainous trails, beautiful waterfalls and impeccable scenery and you have the best destination for your next vacation. Read on about Dominica travel tips! Dominica is a small island that is not as well-known as other Caribbean islands. Although compared to other tropical destinations that are more crowded with tourists, this paradise place is famous for its' secluded parks, incredible waterfalls, mountainous biking and walking trails, a variety of fun and engaging attractions and superior water sport activities. Even though Dominica does not have any big resorts, it still provides the best top of the line cozy accommodation options, where guests feel welcomed, pampered and relaxed on Dominica vacation. Among all the active and adventurous attractions available in Dominica such as jet ski, ziplining, off-road tours, kayaking or scuba diving, there are many other things to do. Some of the true wonders not to miss in Dominica are the Emerald Pool, Trafalgar Falls, Indian River, and Morne Trois Pitons National Park. 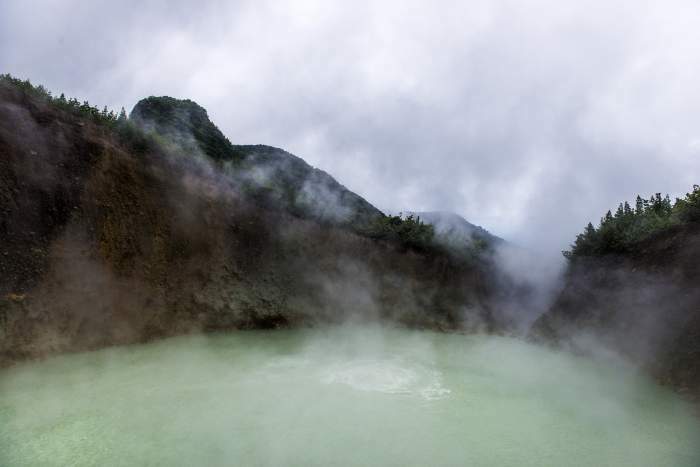 If you are up for a hiking trip, check out Dominica's Boiling Lake, where the greyish-blue water is heated to a boiling point when it goes through a lava trail and is then formed into a white cloud that vapours into the air. All that and so many other things to explore are waiting for you in the beautiful island of Dominica. Since Dominica experiences severe tropical storms, strong winds and a high chance of Atlantic hurricanes during it's winter months from June to November, the best time to go on Dominica vacation would be during its peak season from December to May. Temperatures are pleasant at 23-30 degrees Celcius (73-86 degrees Fahrenheit) with a light warm tropical breeze. Although all hotel and accommodation rates rise up and become quite expensive, the best thing about this time is that all of the tourist stops like restaurants, shops and tours run at their highest efficiency, are opened at extended hours, and the life in Dominica becomes active and vibrant with different street festivals, a Hike Fest in May, costumed carnivals and many others. If you want to enjoy the weather but save on the hotel prices, plan Dominica vacation for late October to early December. There is a small chance of any storms, precipitation is low, crowds of tourists don't come until the middle of December the hotels deals are very affordable. 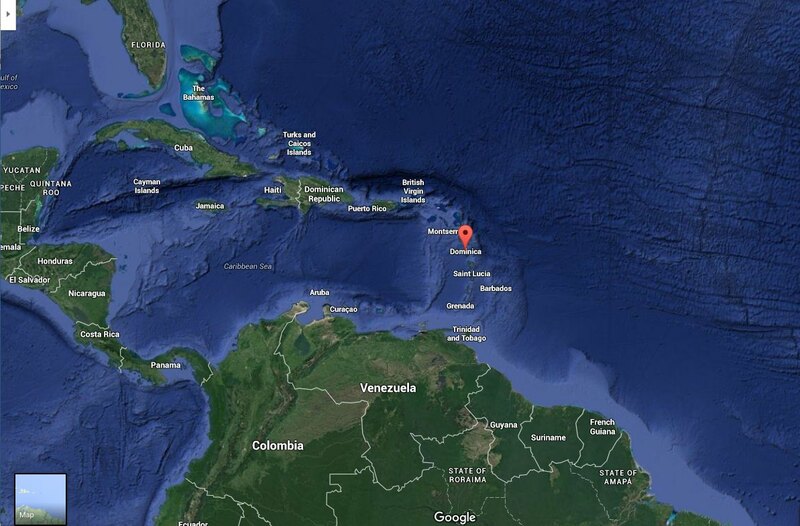 Where is Dominica on the map? 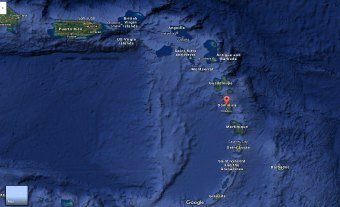 Dominica, a small island of 47 km (29 miles) in length and 26 km (16 miles) in width is located between the islands of Guadeloupe and Martinique. The island of Dominica is located 96 km (60 miles) south of Guadeloupe, and 94 km (58 miles) northwest of Martinique. Other Caribbean islands that neighbour with Dominica are Antigua and Barbuda (that is located to the north of Dominica), and St. Lucia (to the south of Dominica). 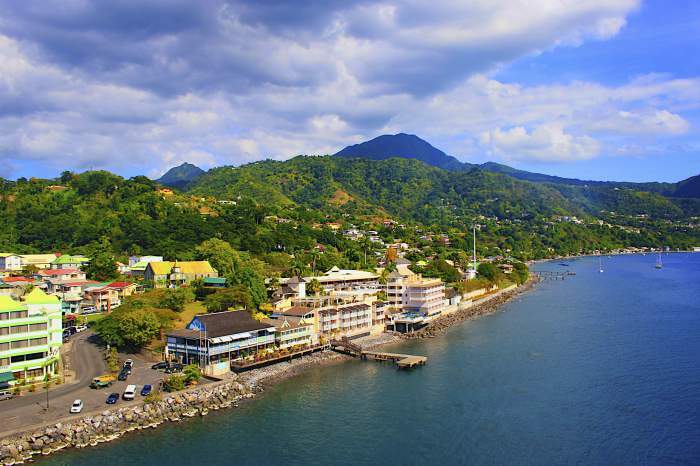 The capital and the largest city of Dominica, Roseau is located on the southwest coast of the island. The capital is close to the Roseau river, after which the town of Roseau was named by the French back in the 17th century. Although Roseau is the smallest capital in the Caribbean, it has the highest number of inhabitants of any town in the eastern Caribbean side. Roseau has the highest number of inhabitants which is approximately 68,000 as most of Dominica's total population live in or near the capital. Roseau is Dominica's most important port of international trade. Some of the products that Dominica exports include bananas, bay oil, grapefruits and cocoa. Service is a very important aspect of Dominica's economy as well, and Dominicans take pride in that. They go out of their way to ensure their visitors receive the best possible service and hospitality. 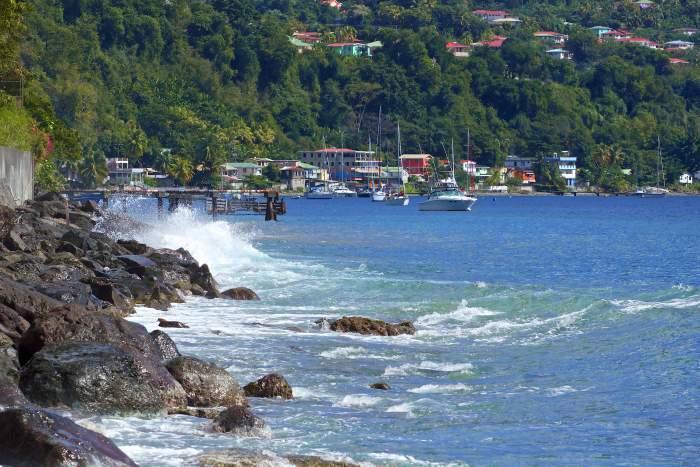 There are a number of amazing places to see while visiting Roseau on Dominica vacation. Check out the market at the Old Plaza, you will find very unique gifts, souvenirs as well as produce there. Roseau Botanical Gardens are Dominica's true gem, and even contain an aviary with the world's extremely rare type of bird called Sisserou parrot. This type of parrots is only found on the island of Dominica and is considered the island's national bird. Roseau is home to many historical sites as well as the 18th century Cathedrals, so for those that plan on taking historical tours, Roseau is the perfect place to begin with. According to the population statistics, the population of Dominica in 2016 is calculated at 74,598 residents and most of the island's residents live around the capital city Roseau. The predominant religion on the island is Roman Catholic, which makes up around 80% of Dominica's citizens; however, other religions such as Protestant (that includes Church of God, Baptist, Pentecostal, Methodist and Seventh-Day Adventist) are also practised on the island. Dominica is a Caribbean island and most of its population is of the african descent. There are a few caucasian residents as well as mixed and Carib Ameridian, but African residents make up for most of the population in Dominica. Since the island of Dominica was under the British influence from 1805 to 1987, the official language on the island was and remains to be English. Dominica gained its' full independence in 1987 in both external and internal affairs, but the language stayed the same. Although English is the official language of Dominica and all of instructions and conversations are conducted in the international language, the older generation speak a Creole language, which is mixture of French and West African dialects. Those villages that are situated far in the northern part of the island speak Kokoy, but is hardly used amongst more modern population of Dominica. Most of the time, during the street carnivals and festivals that are celebrated on the island, Kokoy language could be recognized in the songs, praising of God and rhythmic dances. Those going on Dominica vacation should rest assured, they will be able to speak English freely and residents of the island are always happy to provide information or direction if needed. Unfortunately there are no nonstop flights to Dominica from either the United States or Europe as the two airports on the island are not able to take in large international aircrafts. Therefore, connections must be made in one of the neighbouring islands like Antigua, St. Maarten, Guadeloupe, Barbados or Puerto Rico. There are two airports in Dominica namely Melville Hall Airport and Canefield Airport. Melville Hall is the largest airport out of the two and is situated about an hour away from the island's capital Roseau. This is where all the larger aircrafts with tourists arrive. Canefield Airport is located 15 minutes away from the capital and mostly handles aircrafts that provide courier services. Another way to go on Dominica vacation is by sea. Boat and ferry services are readily available from either Guadeloupe or Martinique and the trip takes approximately 90 minutes one way. Keep in mind that the ferry service shuts down for upgrades and repairs around the month of September, and since the island is on it's low season, passengers do not travel by a ferry during that period of time. While Dominica does not have any all-inclusive resorts and mega hotels, it offers a number of luxury yet secluded places with all-inclusive plans, where tourists can fully enjoy their Dominica vacation. If you are considering purchasing an all-inclusive plan, check with the hotel of your choice as to what their selection is and what exactly is included in the price. Since Roseau, the capital of Dominica is the center of all the happenings, it offers the largest amount of lodging options to the visitors. For those that are on a budget the choice of accommodation lies between renting an apartment, an inn, a guesthouse or a hostel. If you do end up renting one of these, keep in mind that meals and entertainment will be at your own discretion. Choose to stay on Dominica vacation at one of the beautiful resorts and let the service staff take care of you. Unlike from places that you independently rent out, these types of resorts offer top of the line amenities, dining options and water activities. Remember these are at extra cost and some of the restaurants and recreational facilities might require prior reservations. Due to high elevation and lush vegetation the island of Dominica experiences some of the wettest weather in the entire Caribbean region. Rain and heat help the island maintain diverse plant life which consists of more than 1,000 species of flowering plants. High season on the island begins in December and lasts through April. This is the time when most tourists from North America and Europe come on Dominica vacation. During this warm period temperatures range from 23-30 degrees Celcius (73-86 degrees Fahrenheit). The most dry period kicks in February and lasts until May, while June to November are the rainiest months and contain a high chance of an Atlantic hurricane and severe tropical storms. Accommodation rates jump sky-high during high season, but the good thing is that most hotels will include special amenities in their prices, something that is not offered during the low season. Even though the number of visitors to Dominica is not as high as in other Caribbean destinations, all the bookings for Dominica vacation have to be done months in advance to secure a perfect spot. June to November are the winter months on Dominica and rain and wind activity rarely stops. There is always a high chance of a hurricane, especially from July to November, and tourists try to avoid Dominica vacation at this time. But if you are brave and would like to challenge the weather, check out the weather forecast prior to arriving and bring your umbrella, you will use it a lot. While temperatures are 21-28 degrees Celcius (69-82 degrees Fahrenheit), the accommodation rates are significantly lower and most of the establishments do not require reservations. Bus system in Dominica is inexpensive, efficient and a super reliable way of transportation for those that are on a budget but still want to fully explore the island. Privately-owned minivans with license plates that begin with an "H" hold up to 15 passengers, and the bus fares that are set by the government range anywhere between EC$ 1.50 to EC$ 10.25. This public transportation system works Mondays to Saturdays and has routes all over the island. If you are seriously considering travelling by bus during your Dominica vacation, check their schedule prior to arriving in Dominica. Taxis are another form of transportation, although it is much more expensive way to travel to the island. Taxi cabs can be found pretty much anywhere in Dominica and their rates are set by the government as well. Taxi trips can get pricey if you are hiring one for a tour, but if you are bringing more people the price can be negotiated and split between you and other passengers. Although the island of Dominica is not large and and it's tourism industry is still growing, tourists might need a car to drive around the island. But if you are taking guided tours or staying in Roseau during your Dominica vacation, where everything is accessible, renting a car will not be necessary. Driving is on the left-hand side, the British style, but at the time of booking you have an option of requesting a vehicle with a steering wheel either on the right or on the left-hand side. In order to operate a vehicle in Dominica you will need to purchase a visitor's driver's permit, without it you can get into some serious trouble. This permit can be obtained either at one of the airports, at the rental agency itself or at the Traffic Division Office in Roseau. Roads in Dominica are narrow and mountainous, it can be challenging for locals, let alone for tourists, so always pay extra attention when driving. There are areas that do not have any shoulders and you might find very few road and traffic signs. Before taking your vehicle off the rental lot, get a thorough insurance coverage as most insurance companies offer the minimal deductibles that don't even cover a flat tire. The official currency in Dominica is the Eastern Caribbean Dollar, which is abbreviated as EC$. The same currency is used in Antigua and Barbuda, St. Lucia, Grenada, Saint Kitts and Nevis, Saint Vincent and the Grenadines, Anguilla and Montserrat. Both U.S. and Eastern Caribbean Dollars as well as all major credit cards are widely accepted and used across the island. Keep in mind, there are not too many ATM machines outside of Roseau and Portsmouth, so if you really need to withdraw cash during your Dominica vacation, do the transactions prior to going anywhere outside of these towns. ATMs dispense EC dollars only, but do accept international debit cards. Although some prices might be in U.S. currencies (like hotel and resort fees), it is still better to exchange your U.S. dollars for local denominations as the exchange rate is fixed to the U.S. dollar at an approximate rate of USD$ 1=EC$ 2.70. As well, most of the time vendors will give you change in EC dollars. Tipping is a form of acknowledging the service you received was up to your satisfaction, especially in the Caribbean countries like Dominica. A lot of Dominica's economy depends on tourism and the locals try their best to provide top notch service to their guests. Housekeepers usually receive $2-$3 per day for their work, while bellhops that help travellers with their luggage at the airport or the hotel receive approximately $1 per every bag they provide assistance for. Taxi drivers normally do not expect a tip from their passengers, but they sometimes provide tour guide services to people on Dominica vacation. In that instance tip them what you think is appropriate. Most hotels and restaurants in Dominica add a 10% service charge to their bills. If you believe the service was exceptional and you would like to thank the service staff member by providing more gratuity, feel free to do so, it will be much appreciated. As a general rule of thumb, if the service charge is not added to your bill, whether it is a hotel, a restaurant, a bar, or any other establishment or service, tip between 10%-15% of the total price. It is very uncommon to find harassing vendors in Dominica. If you are approached by a vendor on Dominica vacation, and are not interested in what they have to offer, simply say "No, thank you" and continue with your own thing. Locals in Dominica are very friendly and will always be happy to provide assistance to you whether you buy from them or not. You might find that tour guides will try to persuade you into taking a tour with them. Remember, you are on your Dominica vacation and you are not obligated to agree on anything against your will. Even though they try to sell you their services, they are still some of the nicest people in the Caribbean and if you decline their offer they will move on. Dominica is a very safe and laid-back island, and even though small crimes like petty theft might occur, it is extremely rare and happens in the more remote areas far away from the resorts and hotels. Exercising simple but rather very important safety measures during Dominica vacation is a must. Although it is very safe to explore the island on your own, stop at different villages, local snack shops and go on a hike without a tour guide, it is recommended to keep your valuables with you or in a hotel/villa safety box at all times, and if you need to park your car to go on a sightseeing adventure, never leave your belongings in the vehicle, rather take them with you. If you are staying in a villa, make sure you ask your agent or the owner of the rental for proof of insurance in case of robberies. In that situation if anything were to happen during your Dominica vacation, you would be fully covered. Tap water in Dominica is extremely clean, tasty, and safe to drink. 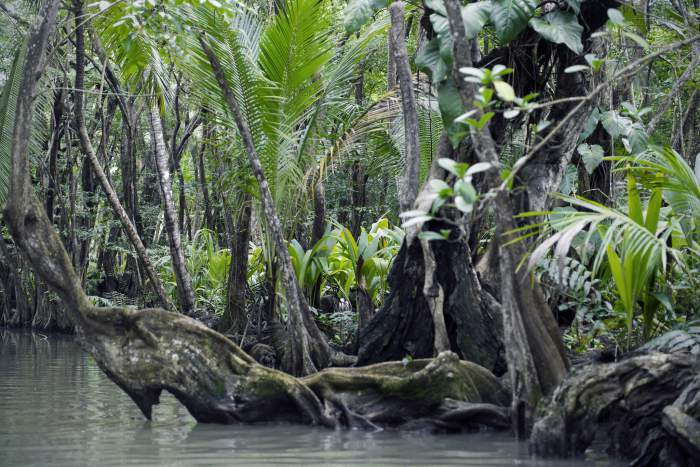 It is chlorinated and the locals drink it straight from the tap. For those travellers that have sensitive stomachs, it is advisable to either drink tap water in small amounts to get the body to develop immunity or to simply purchase bottled water. After a few days on the island, the body will adjust and you will be ok with regular Dominican tap water. 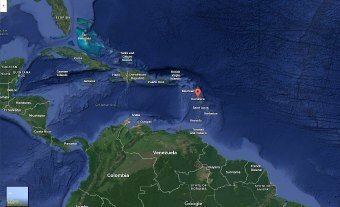 Electricity in Dominica differs from that of a North America, it is 220-240 volts with 50 cycles compared to North American numbers of 110-120 volts with 60 cycles. A little more than half of Dominica's power is being generated by hydro power, while the rest is supplied by diesel fuel. If the Dominica's voltage does not correspond with your home country's voltage, remember to bring plug adapters, transformers and/or converters with you on your Dominica vacation to avoid not being able to use your small appliances and /or devices. Some hotels and resorts might provide their guests wth adapters or transformers and a number of them may even be equipped with dual voltage plugs. Check with your preferred hotel as to what their policy is on those prior to arrival.